According to the latest figures released, the Chinese economy rose 7.7 percent in 2013 after a moderate slowdown during the previous three months due to lower investments. The authorities in the country are working to promote domestic consumption at the expense of exports and investment in order to stabilise economic growth in the world's second largest economy. However, some expect that the economy might also slowdown during the coming year. The economy recorded a growth of 7.7 per cent in the fourth quarter. 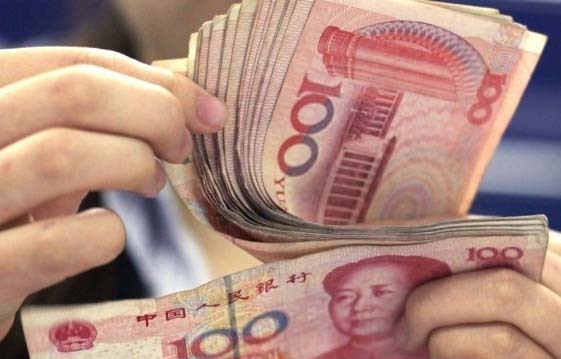 The 56.9 trillion Yuan or $9.4 trillion economy has risen significantly. The growth ins lower than of 7.6 percent forecast by analysts. The central bank of the second largest economy in the world has said that it will maintain its easy monetary policy in 2014 and support reasonable money and credit growth in order to boost economic growth in the country. Experts have said that as the inflation remains lower, the policymakers will have more freedom to continue focusing on policies to support growth. Experts have warned that market-oriented reforms to liberalise energy and utility prices might push up inflation in the country during the coming year.